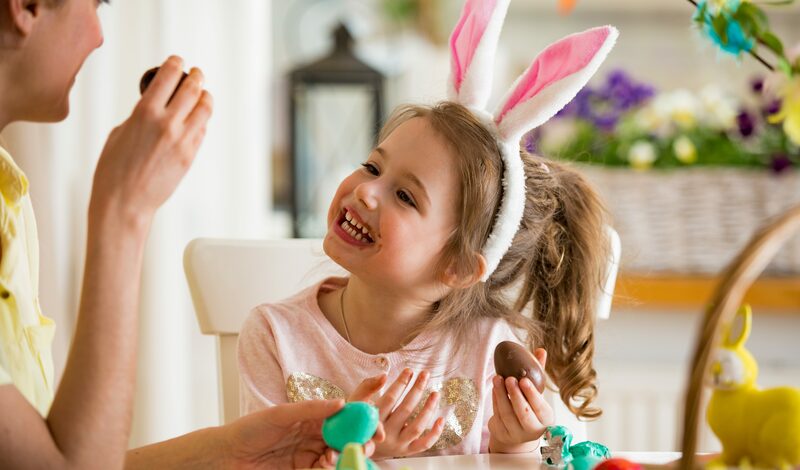 With Easter hopping towards us faster than a Hare….it’s time to plan some activities to do as a family to make the most of the 4 day weekend. The Easter holidays are a special time, giving families and friends the opportunity to spend more time together. A lot of people head away for Easter, but more and more people are opting for a staycation over Easter. A chance to enjoy their own city and their own space to relax & eat hot cross buns! We have set out below some free activities for each capital city in Australia over the Easter long weekend. The 70th Brisbane to Gladstone Yacht Race will set sail from Shorncliffe on Good Friday, 30 March 2018. It is a fantastic nautical spectacle of colour and sportsmanship. Being the second-largest yacht race in Australia, it attracts a lot of attention and excitement along the Shorncliffe and Sandgate waterfronts. For more information on times and vantage points, click here. What a unique opportunity to take the family along to see the Queen’s baton make its way through the streets of Brisbane and finish up at South Bank Parklands over the Easter weekend. For more information on exact locations and times click here. Why not soak up this gorgeous Autumn weather with a coastal walk from Bondi to Coogee Beach as a family. Take in the beautiful scenery, breathe in the fresh air and get some exercise at the same time on this well paved path. For more information click here. The popular Great Centennial Park Easter Egg Hunt is on again this Easter Saturday and Sunday and promises to be bigger and better than ever! Now this one does attract a ticket fee of $17.70 (children only – accompanying adults are free) but is a super fun, interactive outing with the kids. The ticket price includes a trail map, activities along the way and plenty of chocolate Easter eggs to find and keep! For more information click here. 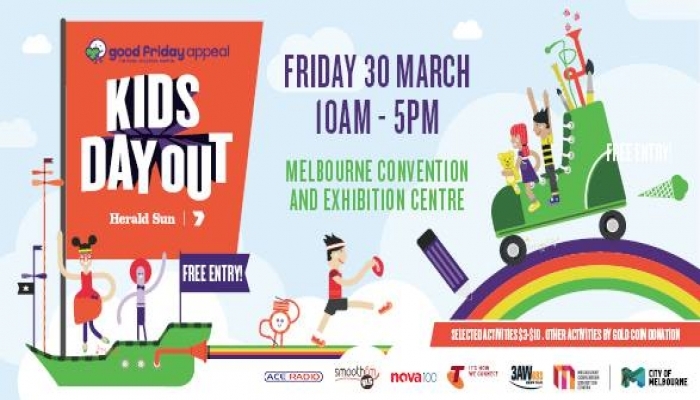 On Good Friday from 10am to 5pm the Melbourne Convention & Exhibition Centre will be transformed into a fun-filled, family festival with sports clinics, Woolworths Fair, rides, music, dancing, Teddy Bear Hospital, cooking classes etc. The fun day out encourages families to come along and join in the festivities while raising funds for The Royal Children’s Hospital. Entry is free and all events and activities are participation by gold coin donation. All proceeds will go towards the Good Friday Appeal. For more information, click here. Your family outing could be as simple as a trip into town to ride on the free City Circle Tram that circumnavigates the city. Also Federation Square has a full program of free & affordable activities planned throughout the Easter school holidays. 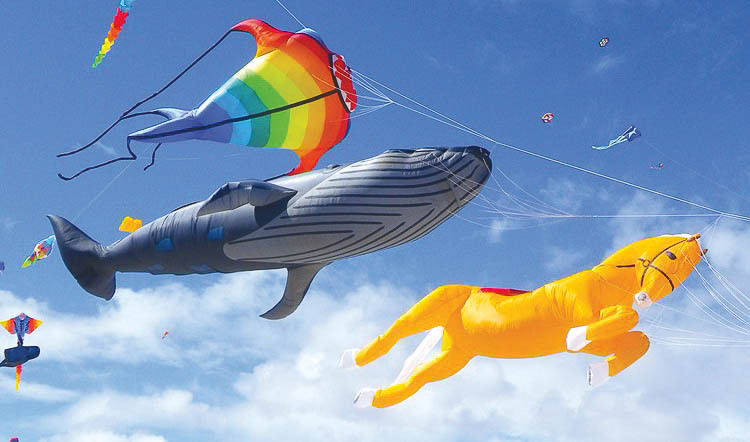 The Adelaide International Kite Festival will take place on Easter Saturday, Sunday and Monday from 11am to 5pm at Semaphore Beach and foreshore. Watch as the professionals take to the skies with their colourful, over-sized kites in all shapes and sizes and make it look easy! Entry is free and there will be a wide variety of stalls, food and goodies on offer too. Check out their Facebook page for more information. Melba’s Chocolate Factory located in Woodside will be opening every day over the Easter long weekend with fun for the whole family. They will have a live chocolate sculpting demonstration on Good Friday (10kg of chocolate! ), free face painting, a colouring in competition and much more. Enjoy an outing wandering through the chocolate factory and indulging on a chocolate Easter treat or two! For more information on the sweet things Melba’s Chocolates will have on offer over the Easter weekend, click here. The Secet Harbour Community will host an Easter themed twilight market on 31 March 2018 from 5pm to 8pm. Come and check out the variety of stalls, food vans, live music and much more – there will even be a visit from the biggest fluff ball of them all…..The Easter Bunny! This event is free to attend. In terms of street arts festivals it doesn’t get any bigger than this one in Australia. 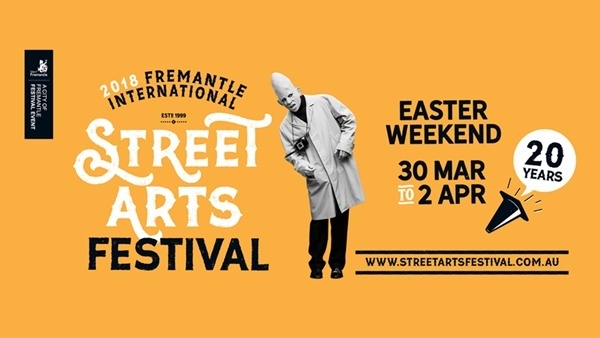 Held over the Easter long weekend, there will be an abundance of street theatre, comedy, buskers, circus acts and more on offer, not to mention fantastic food and drinks. This is a free event and will be held in the heart of Freemantle. Hop along to the Salamanca Markets this Easter Saturday, 31 March 2018 for an egg-cellent family time! Open from 8:30am to 12:30pm – there will be something for everyone, including some bunny face painting! For more information on the Markets click here. A little further afield from Hobart…but well worth the trip just the same – the International Mural Festival will be held in Sheffield from 1 April 2018 through to 7 April 2018. This truly unique art competition sees nine artists compete in a public ‘paint off’. Each artist must complete a mural, using the same poem as their mural’s central theme and inspiration. For more details click here. This amazing array of work consisting of 43 portraits will be on display from 24 March through to 17 June at the National Portrait Gallery. You can marvel at the very best in contemporary photographic portraiture by both professional and aspiring Australian photographers. Entry is free and the Gallery will be open from 10am to 5pm every day over the Easter long weekend. The Easter Bunny will be visiting Corin Forest each day from Good Friday through to Easter Monday at 11am and 1pm with a basket full of eggs! Each hunt will have limited spaces to ensure every egg-hunter can fill their buckets. This event is free but bookings are essential – click here for booking details. Come and celebrate Easter at Darwin’s waterfront on Saturday 31 March 2018 from 9am to 1pm. Visit Mr & Mrs Easter Bunny in their majestic Bunny Burrow, take a photo and get a free chocolate egg and balloon. There’ll be plenty of fun for children of all ages including jumping castles, a live DJ, water slides, balloon artists, sand activities and much more. Enjoy your time together – Happy Easter Holidaying Families!